About Matergenics – Matergenics Inc.
Matergenics Inc. is a state-of-the-art materials testing laboratory and corrosion engineering firm, providing root cause failure analysis determinations, inspection and corrosion risk assessment of aging infrastructure and equipment, metallurgical testing; coating testing, concrete and other material testing. Industries we serve include the electric power utility, telecommunication, oil and gas, aerospace, automotive, water and waste water, medical, and manufacturing. Our vision is to provide new, innovative solutions for complex materials problems to enable clients to improve existing product or processes, develop new materials, and circumvent future materials failures in the making. We are dedicated to our clients, and committed to going the extra mile by providing quality services on time, within budget, and designed in compliance with industry standards to meet project requirements that give our clients the power to make informed decisions every step of the way. We are committed to providing practical, innovative, high-quality, and cost-effective solutions to our clients, as quickly as possible. As industry professionals we are committed to promote the safety in public and workplace, protect the environment, and use the most-recent technologies in our services. Throughout the years, we have noticed that much of our business comes from repeat clients. This is a true honor, and we do not take it lightly. Our experienced engineering team can account for much of this; however, we believe there is something more to it. We believe it can also be attributed to the open and friendly relationship we promote with our clients; our “open door” policy inviting clients to just drop by to meet with Dr. Zee, or one of our other engineers; and the wonderful relationships that we have built over the years with our clients serving their needs. We invite you too, to just drop by. Dr. Zee is a NACE Certified Corrosion Specialist with over 28 years of practical experience in corrosion engineering, materials selection/design and cathodic protection/coatings. He has worked in the oil and gas, and electric power and water/waste water utility industries throughout his career and has resolved a wide range of materials and corrosion engineering solutions for these industries. He has been setting up or improving corrosion control assessment program for large energy related companies. Dr. Zee is one of the foremost leading corrosion engineering experts in North America and beyond. Among his awards for his contributions to materials and corrosion engineering are Fellow Awards from both the American Society for Materials (ASM) and the National Association of Corrosion Engineers (NACE), a truly rare occurrence. He is also the recipient of the prestigious AUCSC’s Colonel George C. Cox Outstanding Award, given in recognition of his contributions to underground corrosion engineering. He has been active in development of standard practices that are geared towards corrosion risk assessment, corrosion mitigation, cathodic protection, stray current, fasteners, coating assessment, and repair of damaged coatings for NACE (National Association of Corrosion engineers) and IEEE (Institute of electrical and electron engineers). Dr. Zamanzadeh has lectured and taught frequently on materials selection, corrosion, coatings, cathodic protection, failure analysis (fracture mechanics), for universities (university of Pittsburgh, Carnegie Mellon university and Penn State) and technical societies (NACE, AFS, ASM and ASTM). He is NACE instructor for CP1, CP2, CP3, Condition Assessment, Corrosion Basics and Corrosion Control Through Design. Dr. Zee has 45 patents and authored 55 technical papers. He is certified by the National Association of Corrosion Engineers as a Specialist in the following areas: Corrosion, Coatings, Materials Selection and Design, and Cathodic Protection. Dr. George Bayer, is the Manager of the Coatings Department for Matergenics, Inc. He has worked with Dr. Zee since 2001. He is responsible for managing and performing a variety of failure analyses, corrosion and environmental exposure testing, and materials characterization projects. Most of Dr. Bayer’s efforts are directed toward coating systems in a wide range of applications, including organic paints and coatings, metallic coatings, and ceramic coatings. He also spent 8 years working in R&D and manufacturing of metallic diffusion coatings, 4 years in providing technical support services to U.S. Department of Energy R&D programs, and 2 years in chemical analysis laboratories. Dr. Bayer’s degrees include B.S. and M.S. degrees in chemistry, M.S. degrees in energy resources and metallurgical engineering, all from the University of Pittsburgh; a Ph.D. in general engineering from Kennedy-Western University; and a Ph.D. in public policy and administration from Walden University. Dr. Bayer authored or co-authored over 30 technical publications and holds 5 U.S. patents. Carolyn Tome, CPA, is in charge of administration and financial planning at Matergenics, Inc. She is experienced in project management, financial and operation management. Edward S. Larkin, Group Technical Manager of Matergenics Pittsburgh, has over twenty five years of experience performing failure analyses. He has examined a wide variety of product failures and has extensive experience with metallography and scanning electron microscopy of materials. His projects have included metallurgical investigations of pipe- lines, piping, storage tanks, jet engine and landing gear components, mechanical parts such as shafts, crankshafts, chains, wire ropes, etc., coatings, PVC pipes, human implants, transmission towers, as well as many, many others. Mr. Larkin has been called on to serve as an expert witness in a court of lawIn addition to performing metallurgical failure analyses of materials and applications, Mr. Larkin also performs concrete petrographic analysis. His projects include the evaluation of deteriorated concrete. Mr. Larkin was previously the Chairman and Trustee of the Pittsburgh Section of NACE. He has also served on the board of ASM Pittsburgh Section. Dr. Taheri (peyman@matergenics.com), is the director of engineering at Matergenics Engineering. 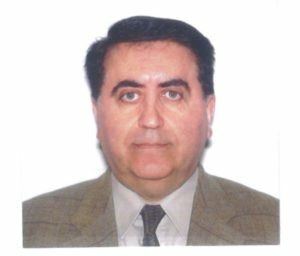 Dr. Taheri is a Professional Engineer and a member of NACE and ASME. He is experienced in design, modeling, and installation of cathodic protection systems. 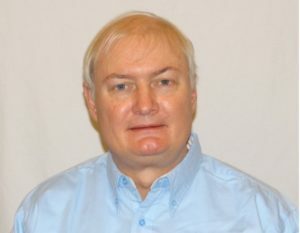 He has published technical articles on corrosion risk assessment, computerized cathodic protection and electrochemical mechanisms. His experience includes electrochemical corrosion research, corrosion risk assessment, and corrosion risk mitigation in power and telecom utility structures. Dr. Reza Mirshams has Ph.D. and M.S. degrees in Industrial Metallurgy and Metallurgical Engineering and is a Licensed Professional Engineer in Texas with 40 years combined industrial and academic experience. Dr. Mirshams is a tenured full professor in engineering technology and has taught courses in the areas of metallurgy, manufacturing processes of materials, failure analysis of material, fracture mechanics, fatigue, creep, engineering product design and development, engineering mechanics, materials selection, and mechanical behavior and fracture mechanisms. His research interests include mechanical behavior of materials-microstructure relations, manufacturing processes, mechanical properties of materials in nano and micro scales, and the study of advanced materials for structural applications in mechanical systems. His industrial experience include as technical director in high strength alloyed steel casting and steel rolling mills, process engineering design, failure analysis of structural parts due to various loading types, fatigue and creep, fracture mechanics, stress corrosion cracking (SCC), and galvanic corrosion. He has testified and has been involved as an expert witness in several materials failure analysis and litigation cases. 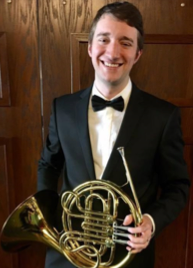 Erik Lahti (BSME, MSNE from Ohio State University) joined Matergenics in February 2019 as a project engineer. He has previous experience with materials, corrosion, and electrochemistry from studying their applications to nuclear engineering systems. 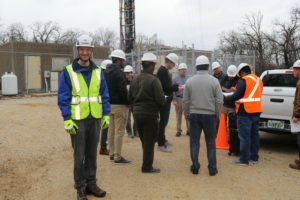 In his graduate work he supported research on NRC GSI-191 and spent nuclear fuel pyroprocessing, and was an author of several technical papers on both subjects. Mr. Lahti’s skills include experimental design, electrochemical testing, vacuum/glovebox systems, and analytical/numerical modeling. 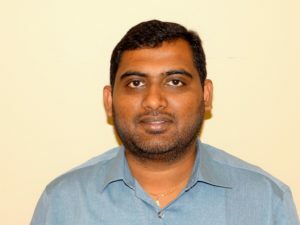 Anil is the project manager and laboratory Supervisor at Matergenics, Inc. Anil Kumar Chikkam is a chartered engineer, NACE certified CP2 technician, API 571 Corrosion and Materials professional and also ASNT Level II (MPT & LPT). He is experienced in metallurgical investigation, modeling, and the installation of cathodic protection systems. He is experienced in corrosion risk assessment, cathodic protection; electrochemical testing, failure analysis root cause determination, welding characterization, metallurgical testing and scanning electron microscopy. In a career spanning more than 9 years, he has worked on the failure analysis of various metallic components from air, above ground, underground and sea applications. His latest passion is tennis and winning Dr. Zee in a match for an all-expenses paid trip to Paris, courtesy of Dr. Zee! Dr. Ahmadi has joined Matergenics team since January 2019, as project engineer. He has a broad experience in design and analysis of energy systems. With more than 10 years of experience, Mehran’s analytical problem-solving ability provides value to clients. Mehran received his Ph.D. degree from Simon Fraser university, BC, Canada, with focus on energy conversion systems. He is a registered Professional Engineer with EGBC and has a passion for energy efficient and sustainable building design.Mehran has more than 8 years of experience in CFD and FEA analysis of different engineering systems. He is proficient with multiple software including ANSYS-Fluent, SolidWorks Flow Simulation, COMSOL Multiphysics and FLOVENT. He is also experienced with energy modelling software DesignBuilder, and zone-based pressure analysis software, CONTAM. 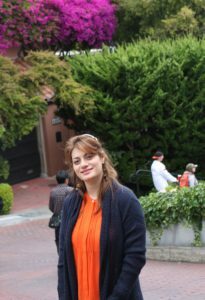 Dr. Ahmadi is experienced in analytical and experimental engineering systems analysis. This includes mathematical modelling as well as experimental design, instrumentation, data logging and data analysis. George P. Kay, P.E. is an environmental engineer who possesses 41 years of experience solving water quality and treatment problems across 40 states and in four foreign countries. He has completed troubleshooting assignments, failure and non-compliance investigations, and water and wastewater treatment plant design projects for five federal government agencies, twelve state government agencies, four municipalities, and industrial clientele across 34 SIC Codes. Insightful solutions with cost savings developed for issues involving domestic wastewater, a vast array of industrial wastewaters, process and non-contact cooling waters, acid mine drainage, potable water, contaminated stormwater, and contaminated groundwater at RCRA and CERCLA sites. Mr. Kay also has been called upon to develop water quality management recommendations for agencies, construction companies, and institutional clients confronted with problems in ponds, lakes, and reservoirs as well as to provide third-party review of treatment recommendations, process designs, and bid documents prepared by others. Prior to his association with Matergenics, Mr. Kay served as Senior Consultant – Water Quality and Treatment and Project Manager with an ENR Top 50 design firm for seventeen years. 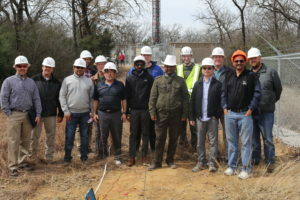 Prior to this engagement, he was Senior Staff Engineer (Water & Wastewater) for a leading producer of specialty steel, where he provided troubleshooting and project management services to six production facilities and four legacy properties. Mr. Kay is profiled in “Who’s Who in Science and Engineering”, and has authored contributions to major environmental engineering journals on a variety of topics. Tara Wockenfuss is the Soil Corrosivity Testing Lab Manager at Matergenics. She has extensive experience in soil testing for corrosivity and has a B.S. in Environmental Science from the University of Pittsburgh with expertise in soils, corrosion, geology, ecology, and health and safety. Approximately 4,000 soil samples are tested per year from locations across the United States at the Pittsburgh Soils Testing lab. Both routine and modified ASTM, ISO, ASHTO and NACE specifications are followed depending on the needs of the client. Typical testing includes soil resistivity pH, instantaneous corrosion rate, water soluble chlorides, sulfates, sulfides, redox potential, and microbiological testing (MIC) for corrosion inducing micro-organisms. 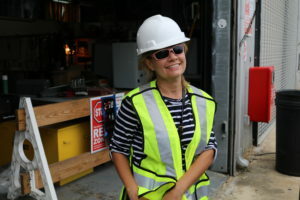 Tara is working on obtaining her certification from the National Association of Corrosion Engineers (NACE) as a Corrosion Technician, followed by a certification in Cathodic Protection. 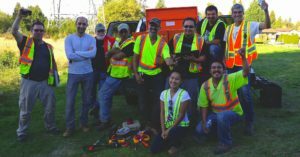 She has performed field testing surveys of soils for corrosivity as well as close interval surveys (CIS), also known as pipe-to-soil and potential gradient surveys (method used to assess the effectiveness of cathodic protection on buried pipelines). Martin Latona is a materials and corrosion engineering specialized in water systems and corrosion. He has over 35 years’ experience in production, applied research, and client-focused project work in a lab environment. He is knowledgeable in stainless / corrosion resistant materials, low carbon or HSLA steels, and copper alloys. Martin is frequently involved with value-added corrosion testing programs and also conducts various exposure testing services. He performs corrosion and metallurgical forensic analyses to determine primary failure cause. Electrochemical corrosion testing is another of his areas of focus – these projects include potentiodynamic or galvanic test procedures to evaluate material or process variables, and electrochemical impedance spectroscopy of coating systems. In recent years, Martin has become heavily involved in water-related projects that involve both onsite and lab phases. For example, one project may involve widespread corrosion damage to plumbing systems related to water chemistry, while another might involve address elevated levels of contaminants in potable water or discharged wastewater. Clients in this area have included condominium building managers, municipal water utilities, a stadium/convention center authority, and large engineering firms that need to subcontract specialized services. These more complex projects are knowledge-based efforts requiring a multidisciplinary approach to problem solving. Martin obtained a BS and MS in Metallurgy & Materials Science from Case Western Reserve University and an MS in Civil & Environmental Engineering from the University of Pittsburgh. Dr. Kasraie has more than thirty years of experience in providing expert testimony to support complex legal cases in federal, states, and international courts. He has also represented his clients in national and international arbitration procedures in NYC, London, and Singapore. When necessary, he has the knowledge and the experience of utilizing the latest technology in simulation, modeling, testing and engineering analyses to evaluate and determine the root cause of failures. In many cases he has employed finite element technology to solve complex technical problems. Dr. Kasraie has more than forty years of professional experience in design analysis and safety evaluation of various industrial components. He is well experience in areas of thermal, structural, elevated temperature, vibration, fatigue design life analysis, creep damage, fracture mechanics, failure evaluation, piping, and design and analyses of various nuclear and non-nuclear plant components. He has performed many analyses and failure evaluations of heat exchangers, boilers, condensers, and high temperature pressure vessels in accordance with the ASME Codes, and European Standards. He is experienced in linear and non‑linear computer-aided design and analysis using various software such as ANSYS finite element cod. Mahsa has about 12 years experience in piping and pipeline specifically in piping materials, corrosion and welding in oil/ gas and petrochemical industry. Her strengths are rooted in master’s level education in Corrosion Engineering and B.S Metallurgical Engineering. She is NACE Senior Corrosion Technologist and AWS Certified Welding Engineer. She has been worked with 2D and 3D modeling software such as AutoCAD, PDMS (Plant Design Management System), Intergraph Smart plant and AutoPIPE; also, QMS for Project Material Management System. She has knowledge in various piping components, material and design standards and codes such as API, ASME, ASTM, NACE and BS etc. She has worked in all areas in EPC projects (Engineering, Procurement, Construction (Fabrication & Installation)). She has been involved for Troubleshooting and Failure analysis for piping and pipeline systems, too. Matergenics’ Museum of Materials and Failure Analysis is established in Pittsburgh’s Matergenics facilities showcasing our lifelong accumulation of knowledge of materials and failure analysis. This museum, above all, is a storehouse of knowledge representing the fields of Materials Engineering and Corrosion Engineering. The purpose of this museum is to collect, preserve, interpret, and display materials failures of scientific significance for the education of Universities, Materials Scientists, Commercial and Industrial Companies and the public. From a visitor or technical community perspective, the purpose can also depend on one’s point of view. A trip to Matergenics museum can be an entertaining and enlightening way to spend the day. To a technical person, this museum might be seen as a way to learn from past failures and failure analysis and see failure analysis as a positive event. Please visit Matergenics Museum of Materials and Failure Analysis at 100 Business Center Drive, Pittsburgh, Pennsylvania: Monday through Thursday, 1:00-4:00 PM. You may call 412-788-1263 if you have any questions. Matergenics is a new name in the world of materials science and corrosion engineering but it also has a famous owner Dr. Mehrooz Zamanzadah or Dr. Zee. He has provided technical support and development to the aerospace industry for many years. My association with him has been through US Airways and American Airlines (the largest airline in the world). Approximately 18 years ago Dr. Zee’s team won the approval from various engine manufacturers to establish an engine chip and oil filter analysis program that reduced engine in flight shut downs (IFSD) to zero and is being used today on the entire fleet at the New American Airlines. His team over the years has provided failure analysis tech support that saved US Airways millions of dollars in warranty claim against OEM aircraft manufacturers.His team was called upon by both the FAA and NTSB to provide analysis were quick and accurate answers were needed to solve aircraft equipment failure issues. Dr.Zee’s has been a major technical contributor to the US Airways/American Airlines carbon filters for the air quality program, evaluation of fuel filter clog due to microbial influence, and corrosion due to MIC influence.And The Matergenics lab with all of its NACE approval and talented engineers and technicians has been the Corrosion Lab for The New American Airlines.